WASHINGTON – March 15, 2018 – Food and Drug Administration (FDA) Commissioner Scott Gottlieb today announced an Advanced Notice of Proposed Rulemaking (ANPRM) aimed at reducing nicotine levels in cigarettes to levels that no longer cause or sustain addiction. “We applaud Commissioner Gottlieb for taking deliberate action to address the leading cause of preventable disease and death in this country – an addiction that is still killing more than 480,000 Americans every year. Such an action is a game changer that could transform the marketplace. “If based on thorough science and understanding, the reduction of nicotine to a non-addictive level in combustible tobacco products could enable the millions of tobacco users who want to quit to do so far more easily. In the case of new smokers—most of whom are children and adolescents—it could prevent addiction from the outset. “Research into the science of nicotine addiction and consumer behavior highlights that the cigarette industry has long engineered and manipulated its products to enhance addictiveness by more effectively targeting the brains and central nervous systems of consumers. “ACS CAN strongly advocates that maximum levels of nicotine be set for all combustible tobacco products, not just cigarettes. Such an action can prevent tobacco industry manipulation of keeping smokers addicted to the deadliest products – those that burn tobacco. “To achieve its public health goal, the FDA must issue an evidence-based final rule in the most expedient way possible and have enforcement authorities in place to ensure compliance and prevent product manipulation by the tobacco industry. 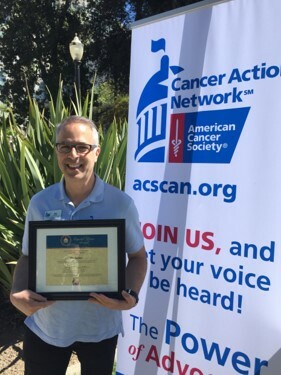 The American Cancer Society Cancer Action Network (ACS CAN) will respond strongly to the proposal in support of an evidence-based product standard that will reduce morbidity and mortality from tobacco use.